Steve Kerr will return to the sidelines on Sunday night to coach the Golden State Warriors in Game 2 of the NBA Finals. Tonight will be Kerr’s first game back since April 22. Kerr has been out since then dealing with complications from back surgery that he had nearly two years ago. 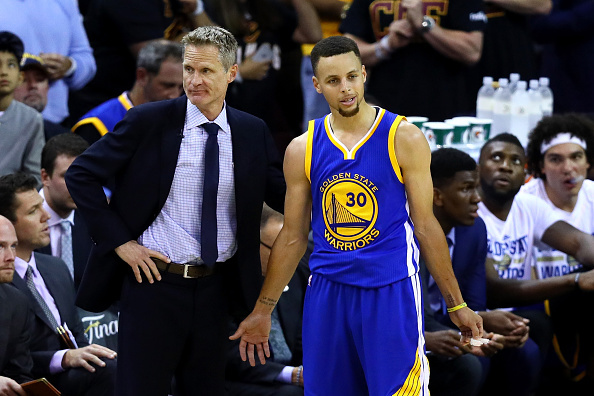 On May 5 Kerr underwent a surgical procedure to repair a spinal fluid leak. In a pregame news conference, Kerr seemed confident that he would be back for the remainder of the postseason. “Its always good to have your leader back, and I’m just happy to have Steve Kerr back and healthy,” Cavs head coach Tyronn Lue said. Game 2 tips off at 8 p.m. EST.